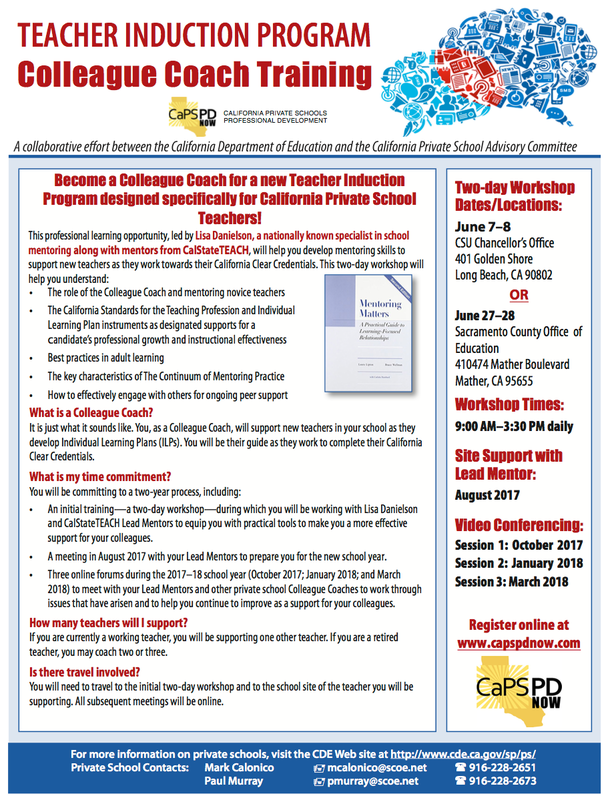 The California State University Teacher Induction Program. The California State University is offering a professional learning opportunity with a nationally know consultant to develop mentoring skills that support new teachers. You will practice facilitating learning-focused conversations and how to observe their classroom using the California Standards for the Teaching Profession. You will experience the Induction Program tools through which new teachers will systematically examine effective instructional practices, data collection, feedback, and assessment across all levels of student achievement to impact classroom change. Other components of the Induction Program continue through Spring of 2018. Please click here for more details on the entire Induction Program. Also, please see our FAQ page.